Koshi is an elongated seating island by Naoto Fukasawa and Driade. 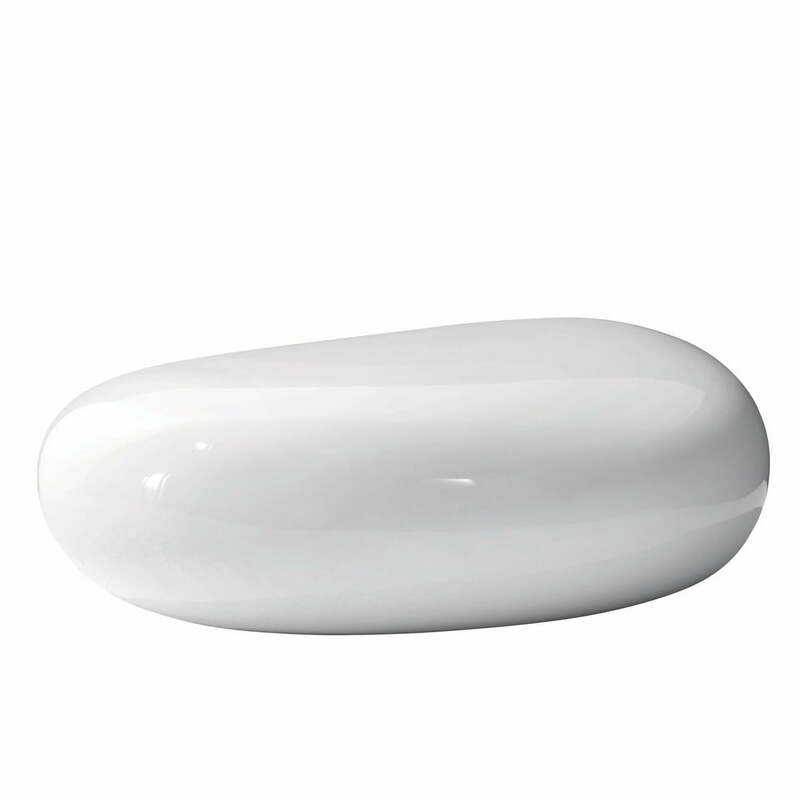 The 2007 design reminds of a water-ground stone with its soft forms. With this round shape, Koshi fits into any surroundings. The multiple award winning designer Naoto Fukasawa has created an unusual piece of furniture with his seating island Koshi, which is a decorative object at the same time. Koshi’s soft design was unmistakably inspired by natural forms. It strongly reminds of a water-ground stone, as one finds them at beaches all around the world. Suiting this versatility the seating island from Driade is available in three lacquered colours: white, blue and orange. The Italian manufacturer Driade manufacturers the Koshi seat island out of fibreglass. It is only suitable for indoor use.